We're excited to announce that Bluink has been awarded the 2017 Bootstrap Award for Best Mobile Application. 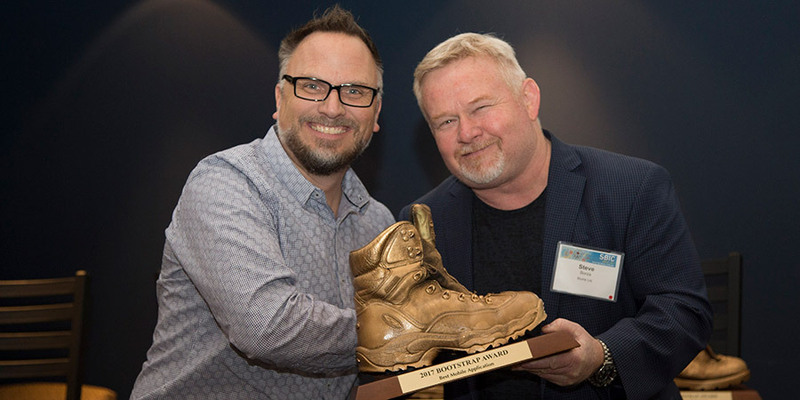 The Bootstrap Awards have returned after a three-year hiatus to celebrate the best self-funded companies from Ottawa, Eastern Ontario, and Western Quebec. They were previously run by Bruce Firestone’s Exploriem incubator and are now under the ownership of the Ottawa Network and Wesley Clover. Companies such as Shopify and You.i TV have won these awards in the past, so it’s an honour to receive similar recognition. Indicators used to determine the Best Mobile Application include “design, engagement, usability, traffic, metrics, and online sales, as well as how backend systems power the business model”. Click here to learn about our award-winning Bluink Key app. Click here to learn more about the 2017 Bootstrap Awards. Welcome to the Bluink Blog!